The World Health Organization (WHO) was established in 1948 with the promise of realising ‘Health for all’. Almost seven decades later, both WHO and India are still striving towards achieving the vision of universal health coverage. Universal health coverage is fundamental to achieving the health objective under the Sustainable Development Goals (SDGs). Yet, about 400-million people – one out of every 17 of the world’s citizens – lack access to essential health services. With a population of 1.2 billion, India has a remarkable opportunity to take on a leadership role in addressing this major gap and providing assured health services to all its citizens. 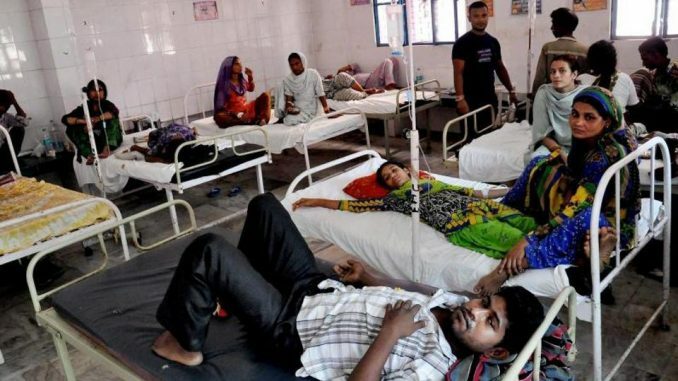 Considering this, the Indian government’s newly-approved National Health Policy is a laudable step in this direction. The policy seeks to promote universal access to good quality healthcare services while ensuring that no one faces financial hardship, and to ensure that public hospitals provide universal access to a wide array of free drugs and diagnostics. This policy can help realise the vision of achieving universal health coverage and ‘health for all’ in India. If carefully implemented, the policy’s proposed steps such as a health card for every family, which will enable access to primary care facilities and a defined package of services nationwide, will certainly help improve health outcomes in India. The recommended grading of clinical establishments and active promotion and adoption of standard treatment guidelines can also help improve the quality of healthcare delivery in India. WHO can play a significant role in this process. Over the years, as the sole coordinating authority on health-related matters within the United Nations system, WHO has developed significant expertise in all technical matters, including the development of guidelines and norms. It can use this experience to work with the Central and state governments in India in, for instance, defining a comprehensive a universal healthcare package of critical services and improving the quality of care. WHO can also partner with the Indian government to leverage the country’s remarkably cost-effective but innovative Indian health sector companies, to develop products and technologies that can help improve the health outcomes of people around the world. In today’s changing times – characterised by key health-related challenges such as frequent epidemics, the rise of anti-microbial resistance, and the rapidly burgeoning burden of non-communicable diseases – such close coordination between countries such as India and WHO is the need of the hour. A strong political will at the country level and a visionary WHO leadership can help drive such a partnership. As various countries deploy their resources to achieve the SDGs by 2030, they must resolve to keep health at the centre of their development agenda, policies and programmes, and work closely with a fit-for-purpose WHO to realise the vision of health for all. It is, indeed, the best gift that we, as people’s champions, can give to the citizens of this world.